This time, the theme is EASTER OR SPRING. 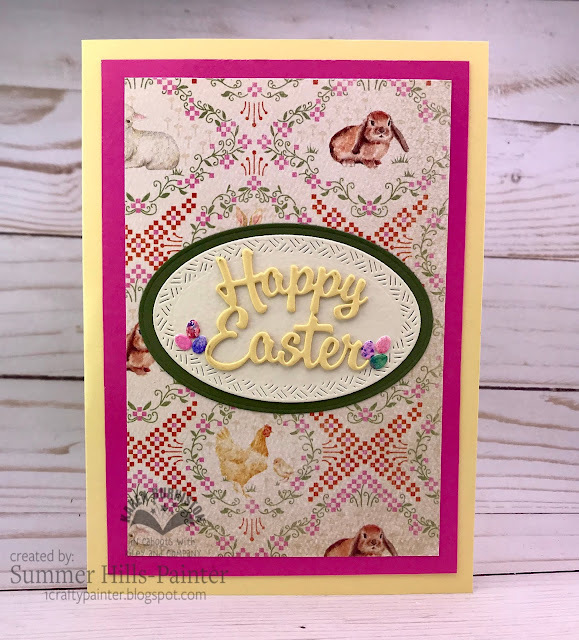 For my card, I went for Easter. 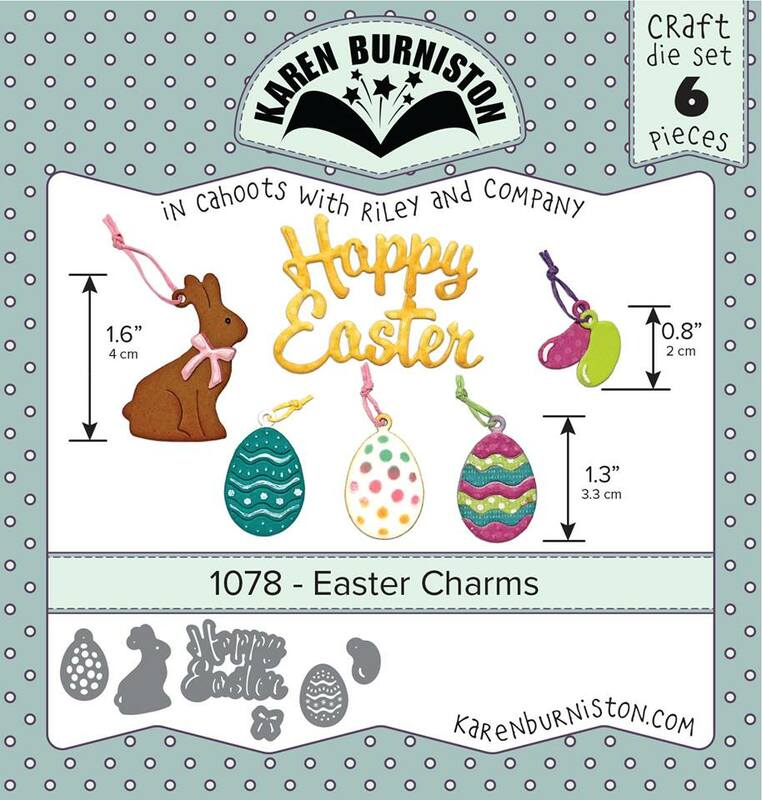 I love the new Easter Charms dies and I could not wait to make a card with them. Here is my card. 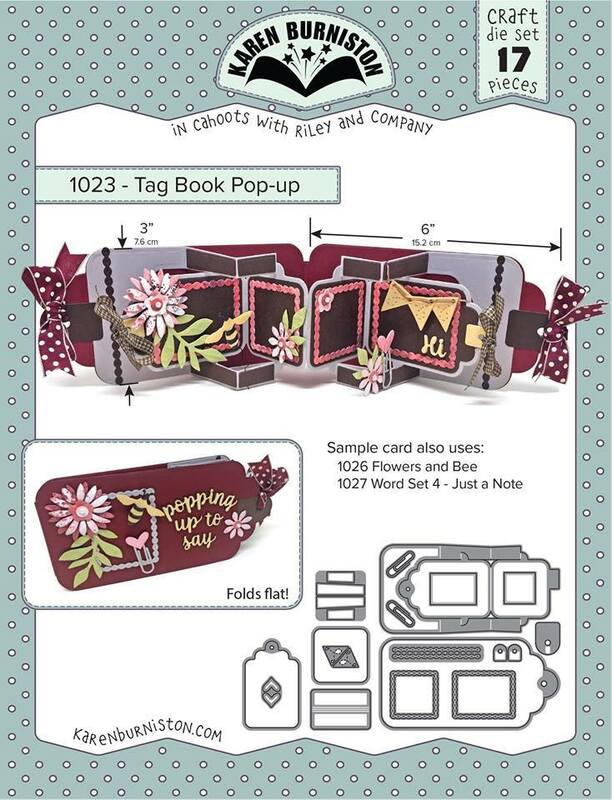 I have used that Tag Book Pop-Up. 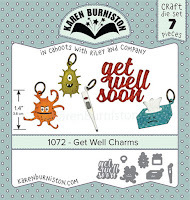 I have added the accessory dies from the Rockin' Rectangle die set. I have also used the Natures Edges die set to create grass for my bunny to to hide in along with some jelly beans. Here is the card opened up. I have continued the theme throughout the inside of the card as well. Although it is a pretty simple card, I love the bright colors. Thanks for stopping by. 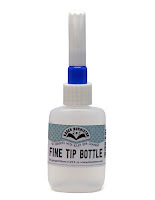 Be sure to check out what the other designers have created as well. Just stopping by to share a card from for a friend that is not felling too well. 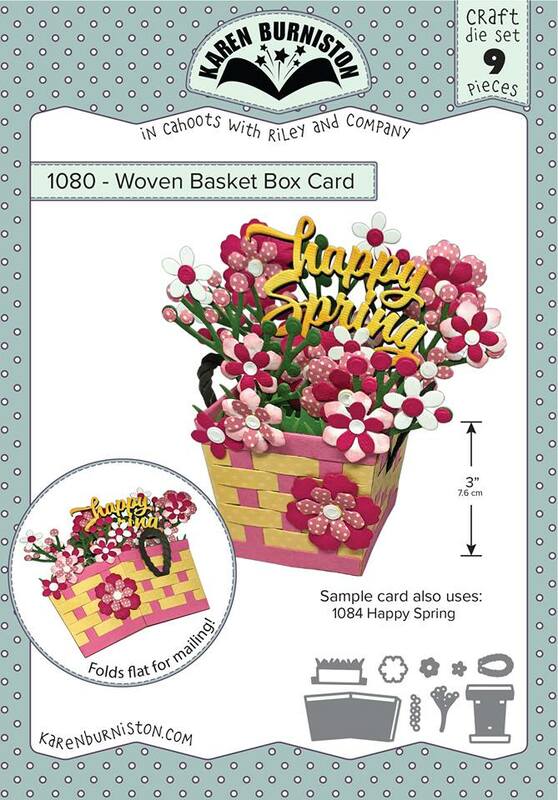 For this card I used the Woven Basket Box Card and the Flower and Bee dies sets. 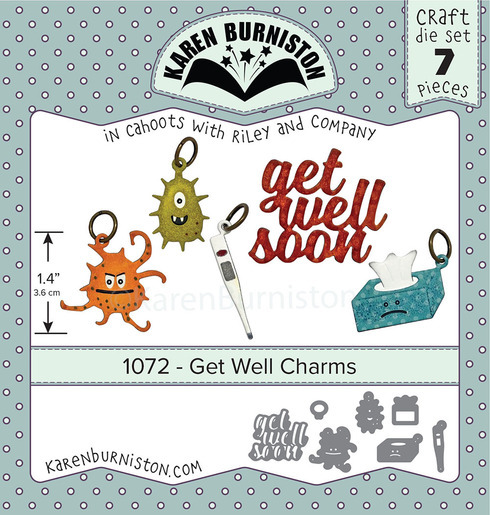 I have also added the Get Well Soon from the Get Well Charms. I have used the 3D Floral Basics Shaping Mold to help shape the flowers for this card. I have a few accents of pearls and enamel dots. Here is my card. 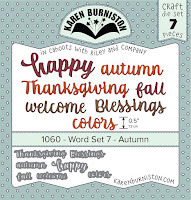 It is time for this month's Karen Burniston Designers Challenge. 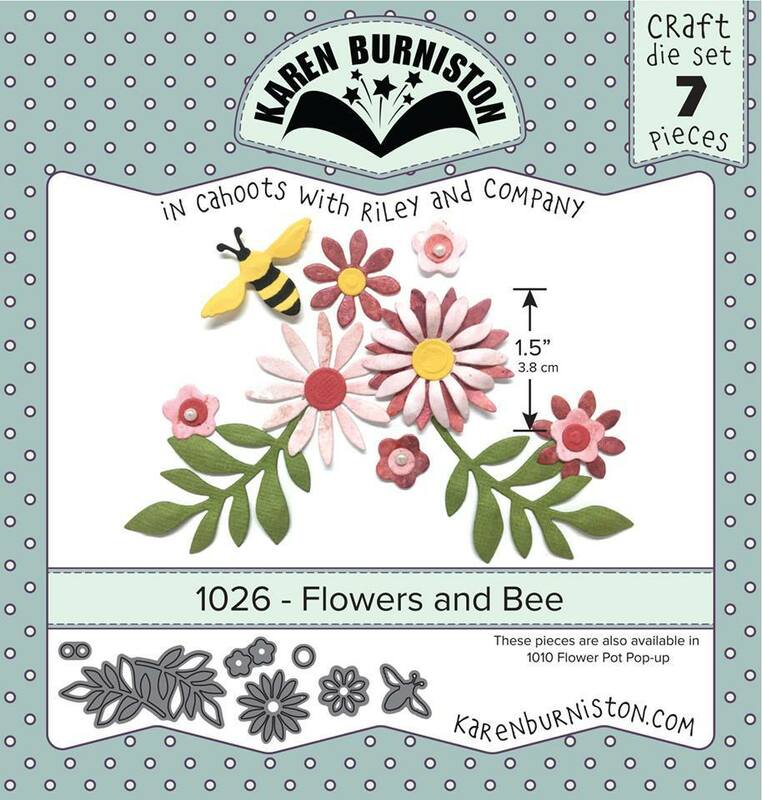 The challenge for this month is to use either of the Tiny Accessories die set to create a project. For My card, I decided to go with an Easter theme. Here is the front of the card. 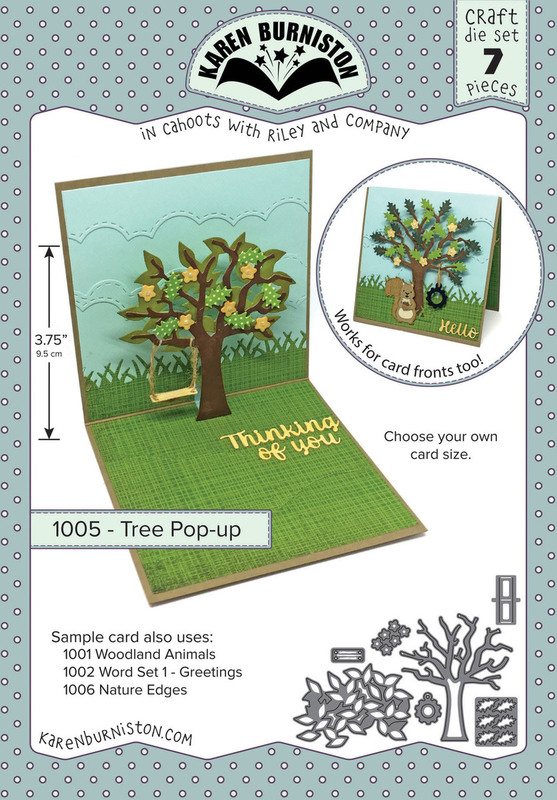 I have used the Tree Pop Up, Outdoor Scene, Nature Edges, and Rectangles Crosshatch dies. Here is the inside of the card. Don't you just love how the how cut that bunny is?? Here I have added the tiny accessory cape and mask to my bunny. Clearly the Easter Bunny has to have super powers in order to hide all of those eggs in one night for little boys and girls to hunt them down. 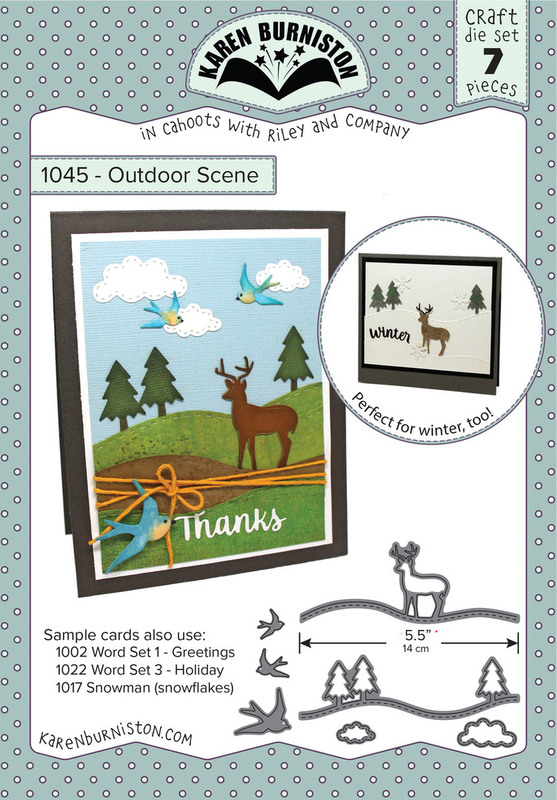 For the base of the card, I have used the new Rockin' Rectangle die set. I carried the same theme as the front through the inside of the card. I have also added the Happy Easter from the Easter Charms die set. Thanks for stopping by! Make sure that you stop and check out what the other design team members have come up with for this challenge! 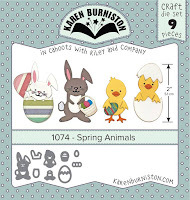 Just stopping by to share a little bit of crafty Easter inspiration using dies from KB Riley. Here is the front of the card. 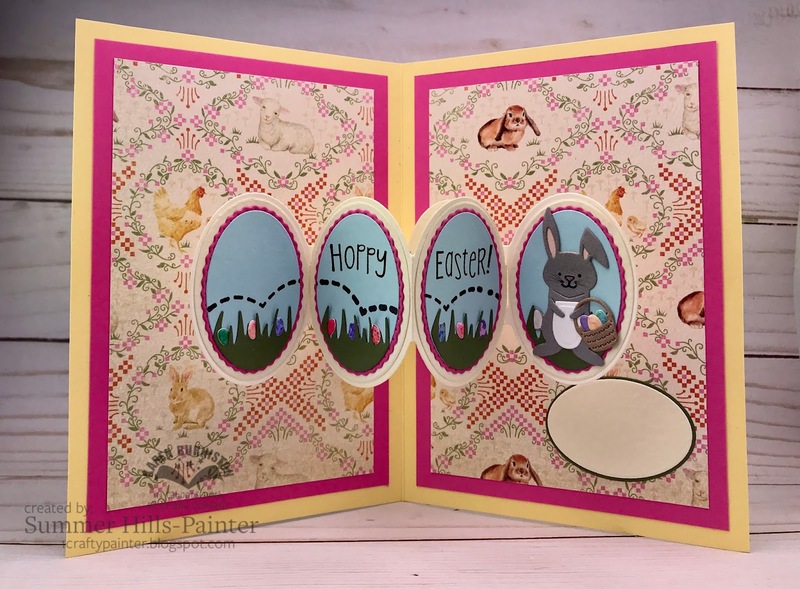 I have used the the Ovals-Crosshatch and the Easter Charms dies sets on the front of the card. The greeting fits well withing the layered ovals. For the eggs, I used some distress inks and watercolor paper to make some marbled/colors papers. 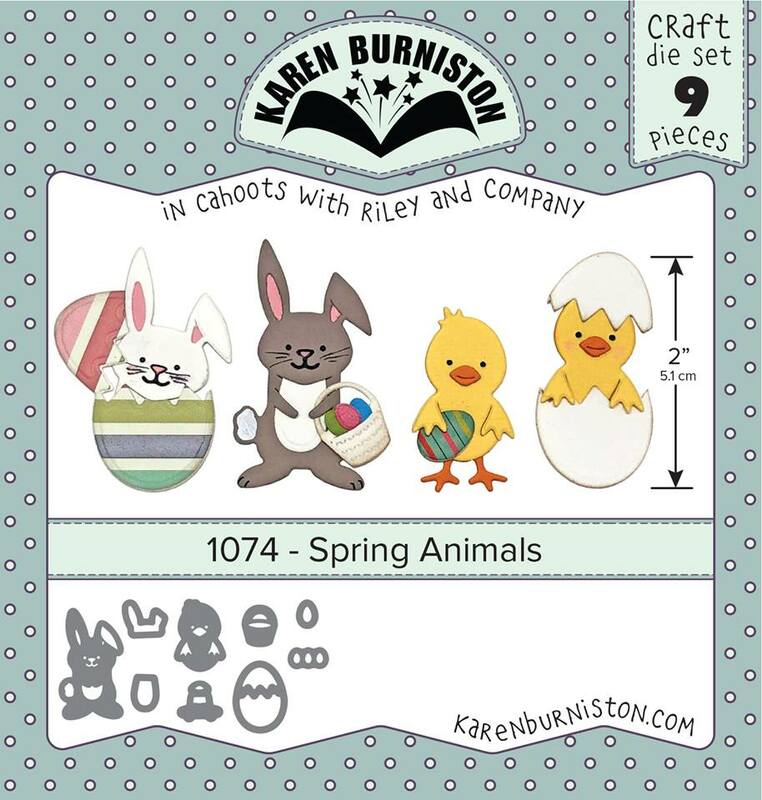 From there, I cut out some Easter Eggs for decoration from the Spring Animals die set. Here is the inside of the card. 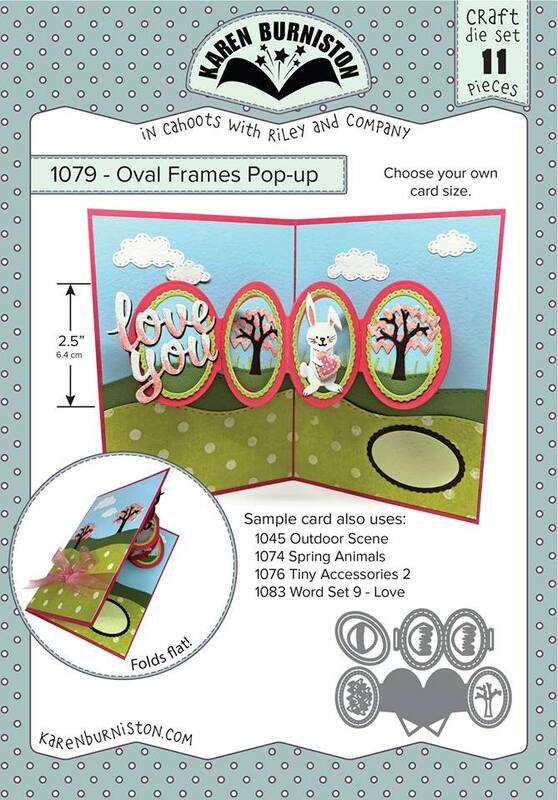 I have used the Oval Frames Pop-Up along with the Spring Animals die set. 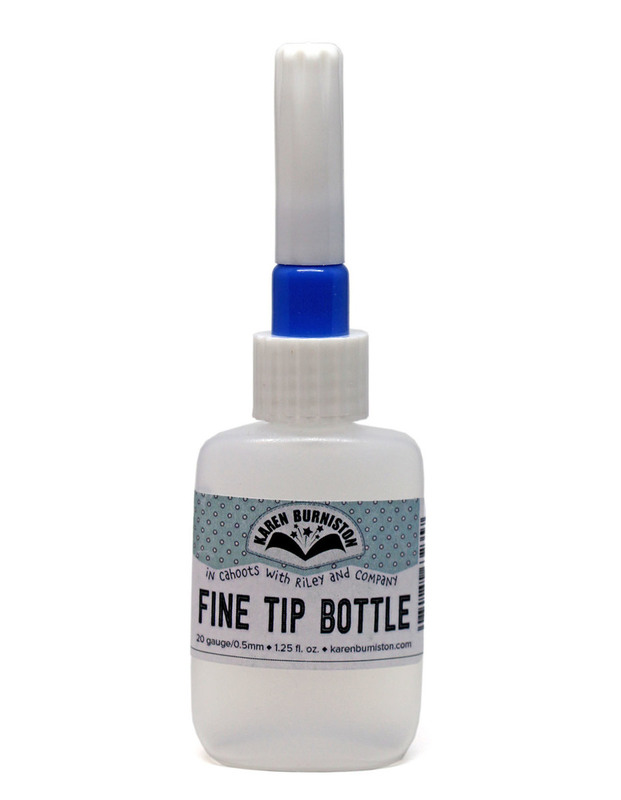 Hello my crafty peeps! Just popping in to share a baby card. 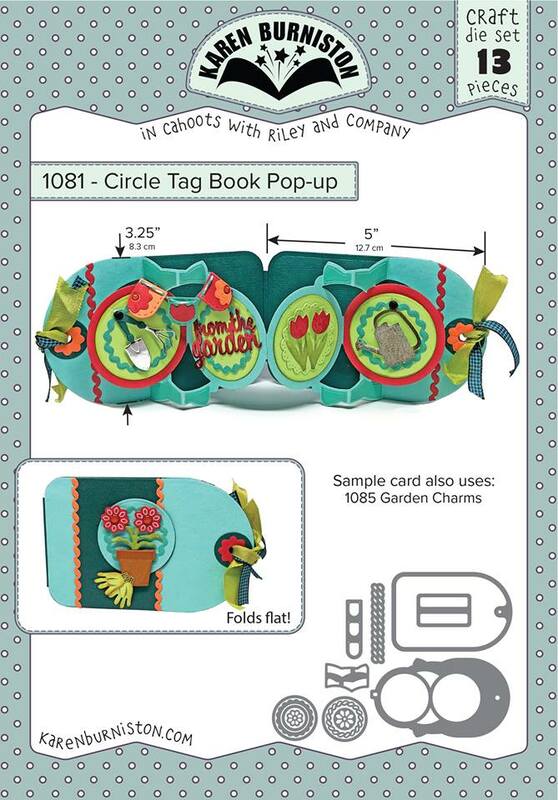 For my card, I am using the new Circle Tag book. 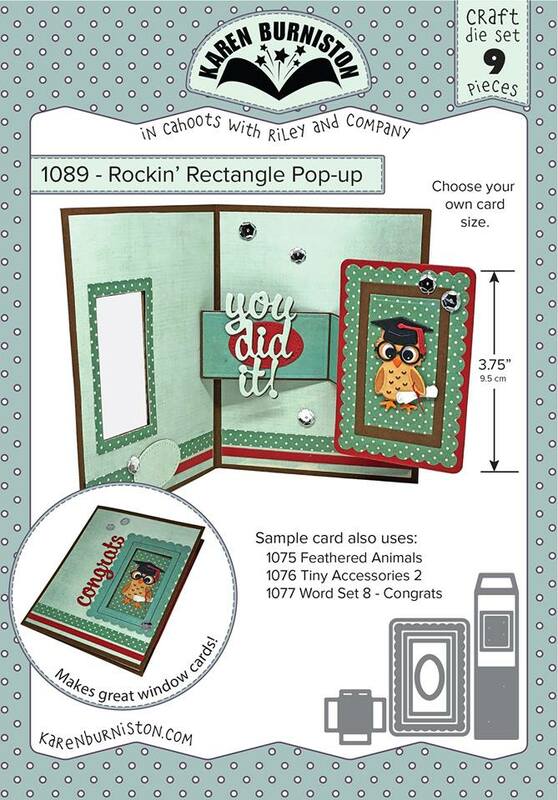 To decorate the front, I have added the rectangle accessory die from the new Rockin' Rectangle die set. 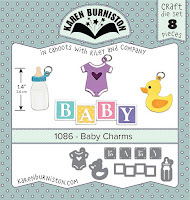 I have also added "welcome" from Word Set 7 and "baby" from the new Baby Charms dies sets. Here is the inside of the card. 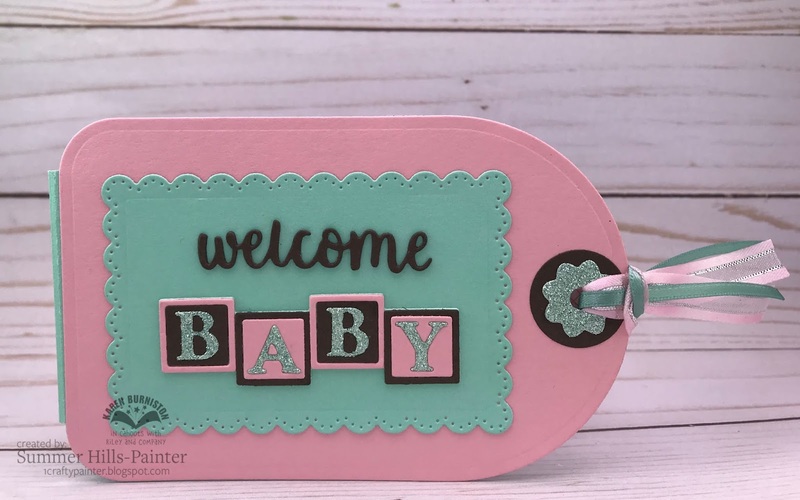 To decorate the inside, I have used more items from the Baby Charms and the "congrats" from Word Set 1. 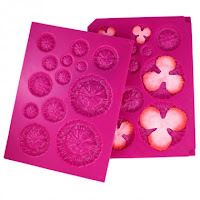 I also decided that I wanted larger circles on the inside so I used some from the Circle Charm Pop-Up die set. It is time for another Karen Burniston Designers Challenge. 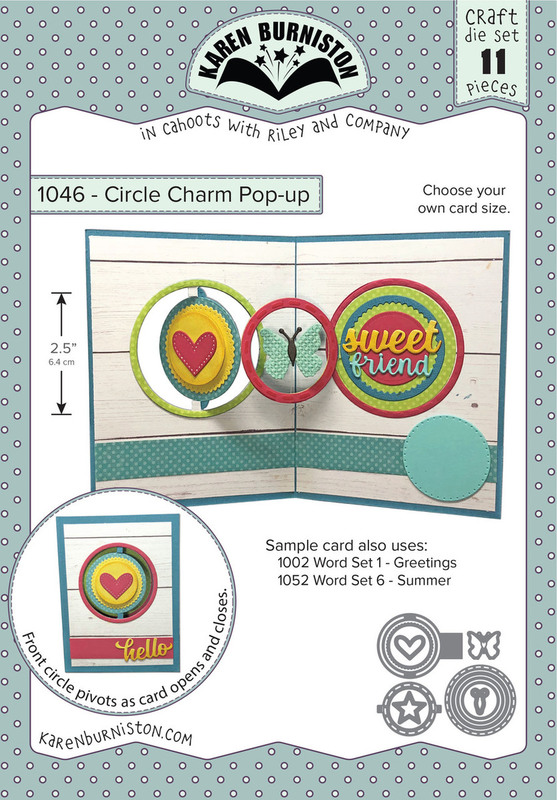 This month the designers were challenged with the theme: "LOVE, SWEET LOVE!" ... but we needed to add a chocolate element to the card. For my card, I chose to add chocolate kisses. Here is the front of my card. 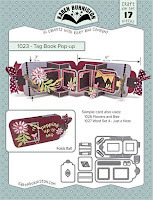 I used the need Circle Tag Book Pop up die set. I have added words from the Word Set 9 - Love set. 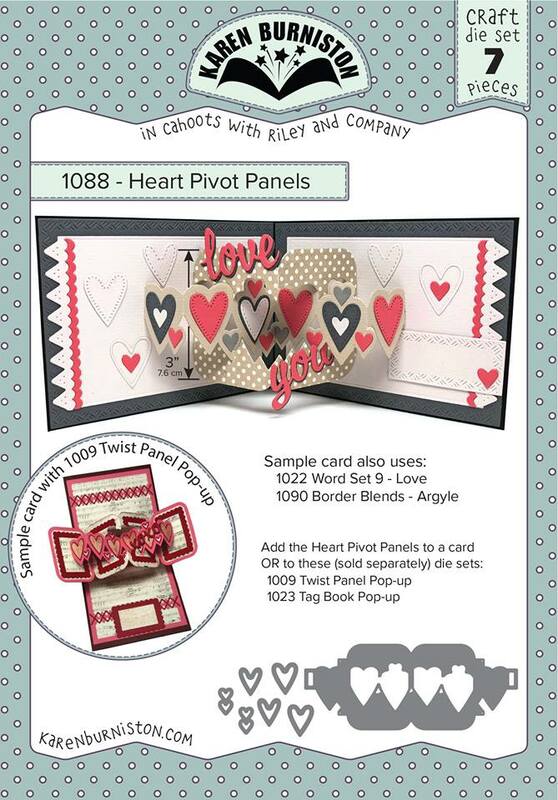 I have also added a rectangle from the Rockin Rectangle and a heart from the Heart Pivot die sets. Here is the inside of my card. 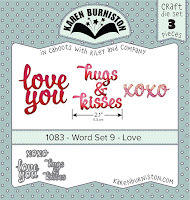 I have added the XOXO from the Word Set 9 die set. I have also added the reinforcers from the Tag Book Pop Up set. 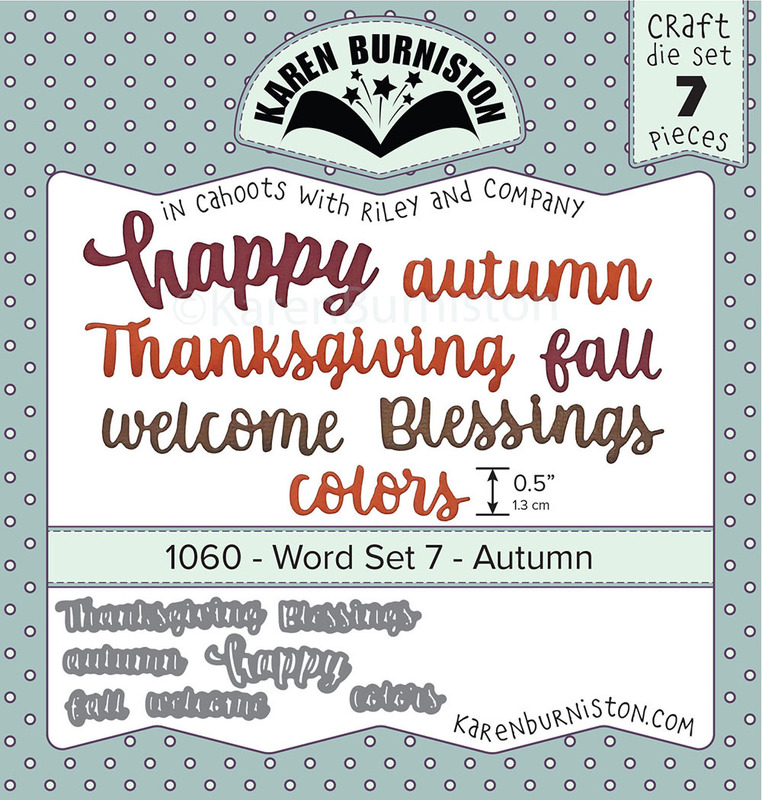 Just dropping by to share a project using new Karen Burniston die sets. Here is the front of the card. 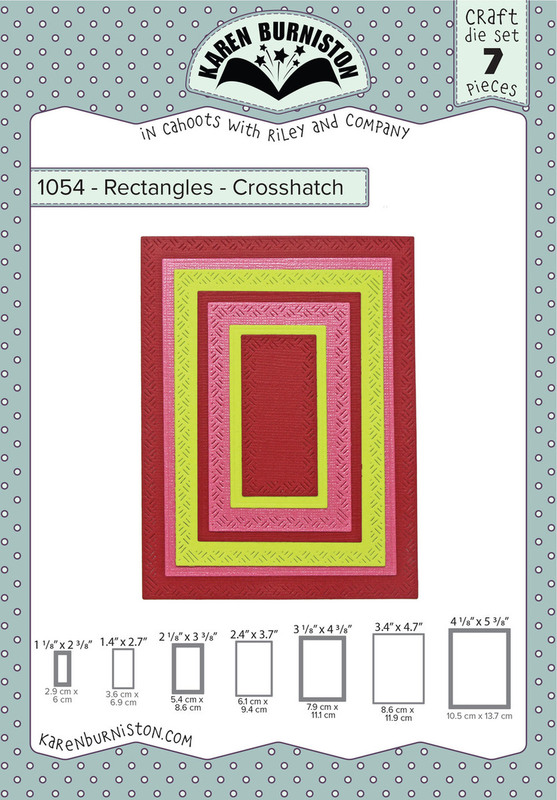 I have used the new and the new Rockin' Rectangle die sets. Here is the inside of the card. 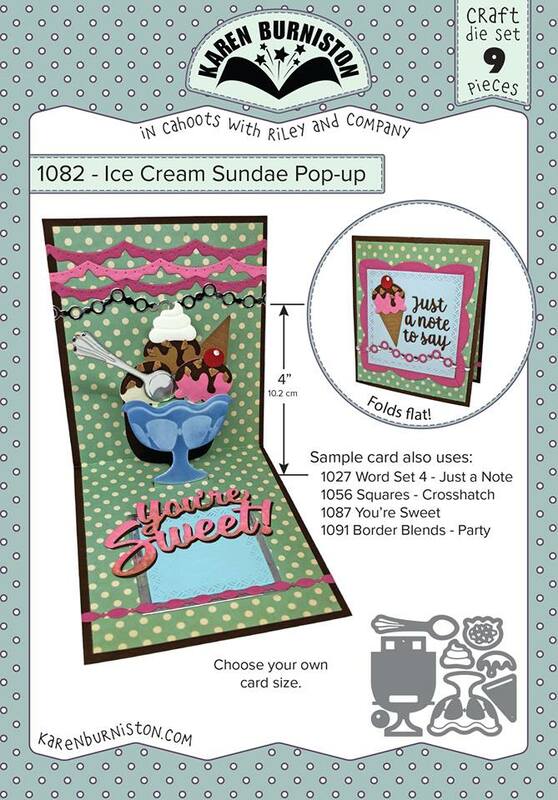 As you can see, the accessory dies for the Rockin' Rectangle set fits the new Ice Cream Sundae Pop-Up die set. I just love the nuts on that sundae. Here you can see that the card still fold flat for mailing.